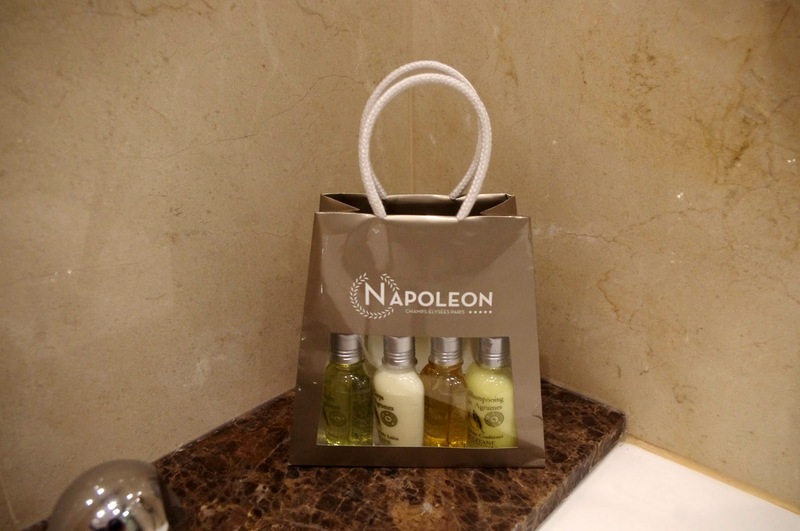 Hotel Napoleon is a luxury hotel centrally located in the heart of Paris. 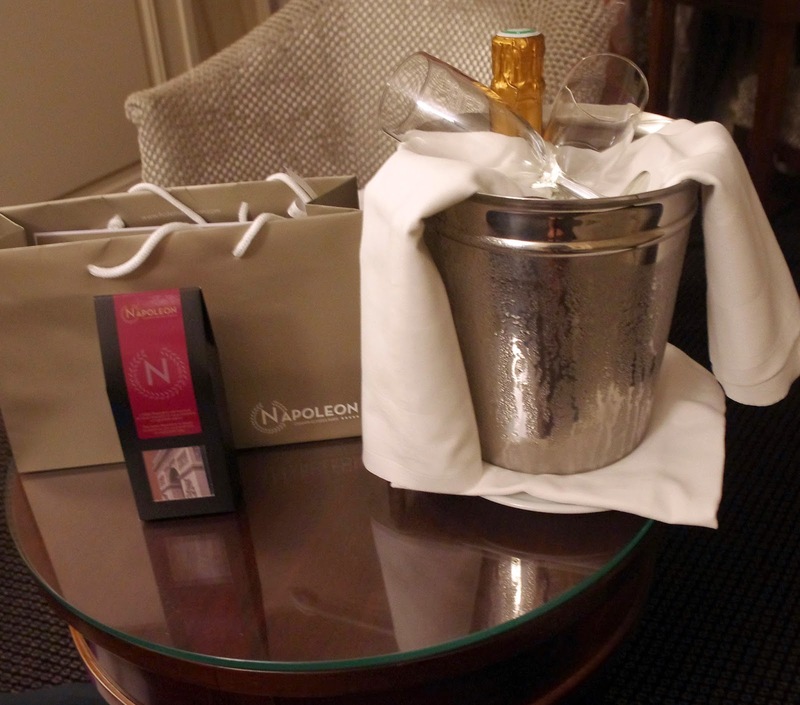 Hotel Napoleon was the perfect choice for our romantic, anniversary weekend getaway to Paris. 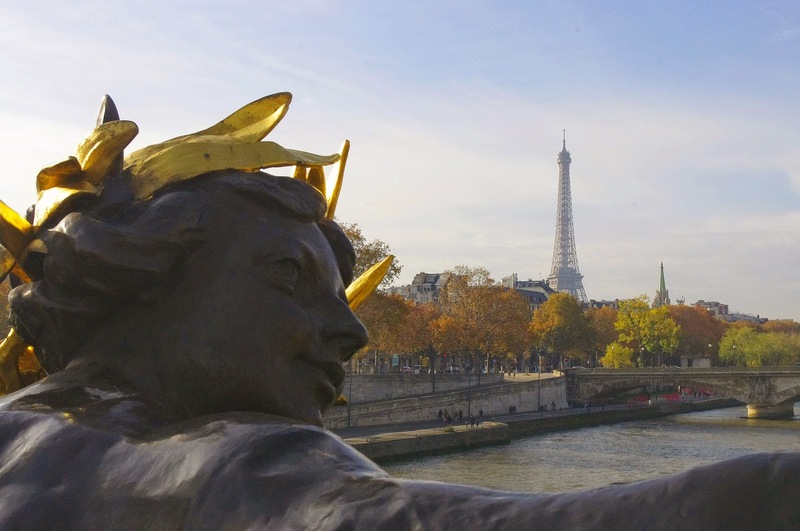 Just steps away from the famous Champs-Élysées and Arc de Triomphe you couldn’t dream of a more perfect location in Paris. 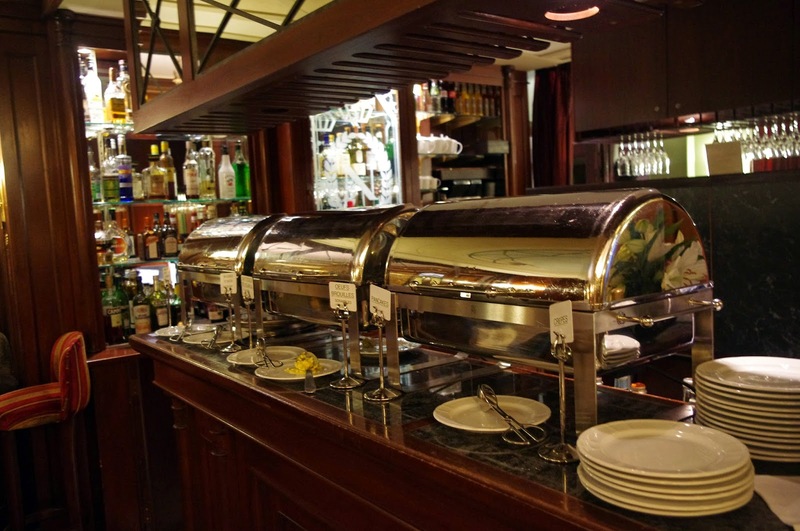 With an interesting and exciting history along with it’s peaceful, elegant ambiance and top notch service, it truly is deserving of it’s 5 star rating. 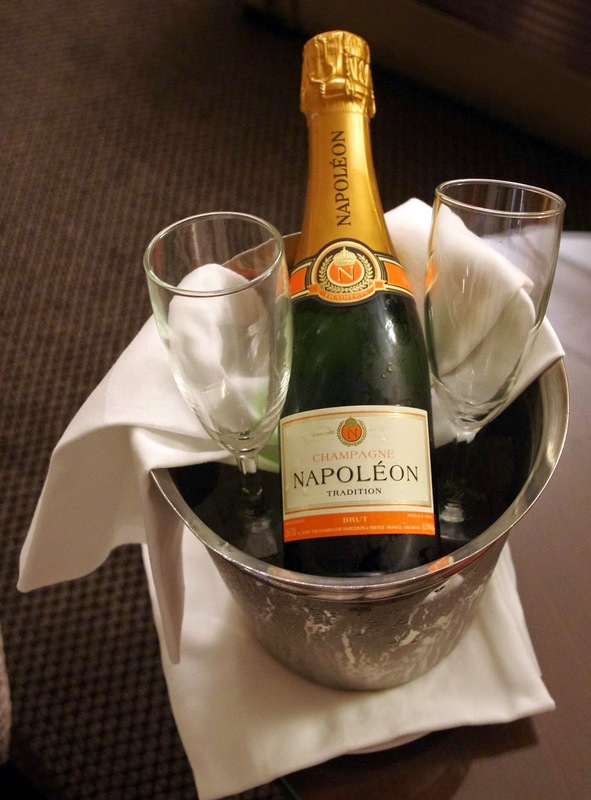 Hotel Napoleon has an incredible history that goes all the way back to two major French figures in Baron Haussmann who transformed the beautiful architecture in the area and Emperor Napoleon who ordered the famous Arc de Triomphe to be erected in its location. Further to this, at the very heart of the hotel’s history lies a wonderful love story, of a rich Russian, Alexander Kliaguine who fell in love with a young Parisian and as a wedding gift gave her a hotel in one of Paris’ most prestigious neighbourhoods, the 8th arrondissement. 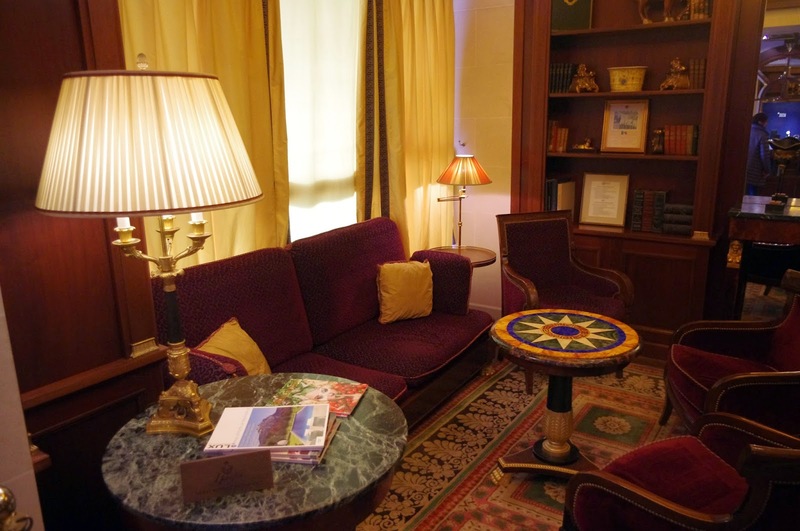 One of the wonderful features of Hotel Napoleon is that it is not part of a chain, it is completely unique and is still in the Kliaguine family. 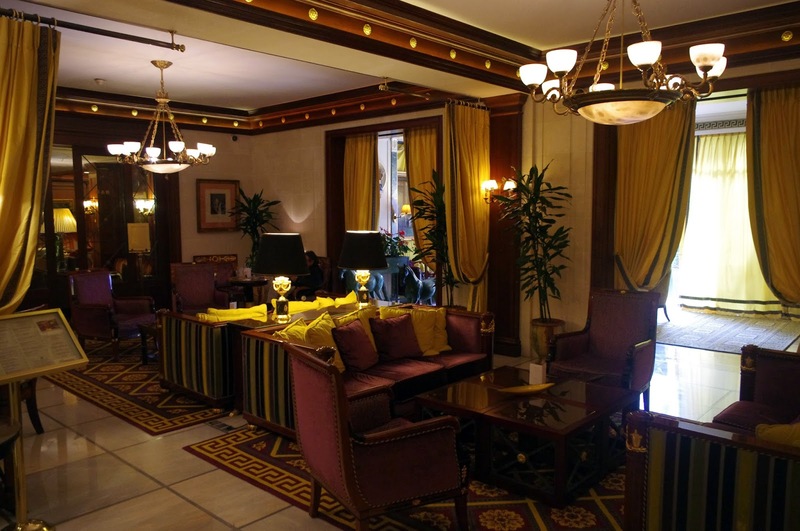 The hotel in its time has seen it’s fair share of famous figures ranging from fashion icons, Russian elite, sports people, celebrities and big names such as Josephine Baker, Hemingway and Salvador Dali. People from all backgrounds and ways of life love Hotel Napoleon. 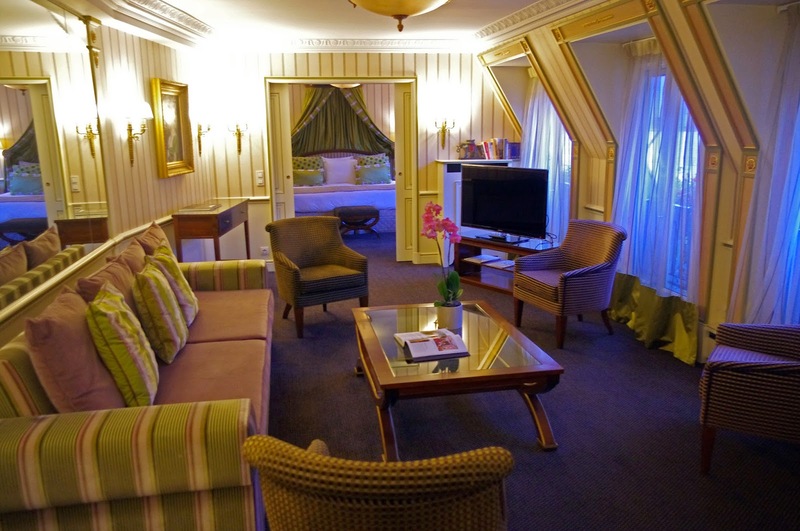 There are 51 rooms and 51 suites for you to choose from for your stay at Hotel Napoleon. We were lucky enough to view one of the Junior Suites, the Incredible Josephine Suite and of course, our beautiful room, a Suite that faced onto the peaceful courtyard. 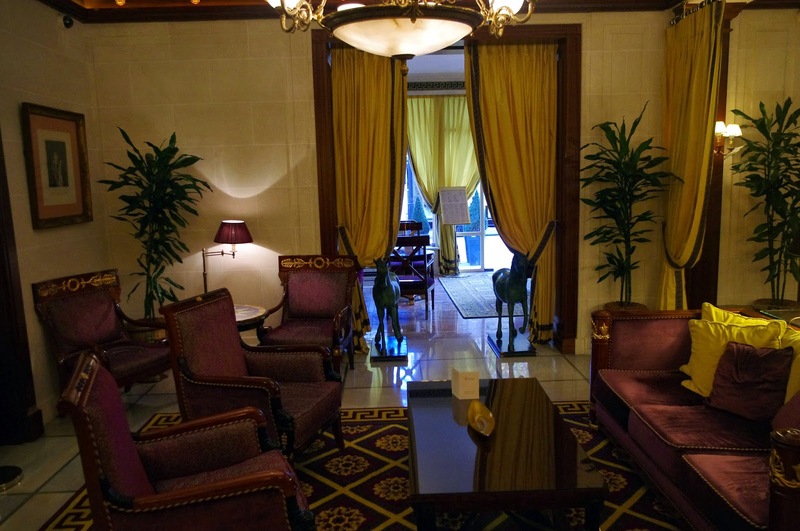 There are also Classic, Superior and Executive rooms along with Avenue, Youssoupof and Imperial Suites to pick from! Each room and suite are decorated uniquely, with all of them spacious and elegant. 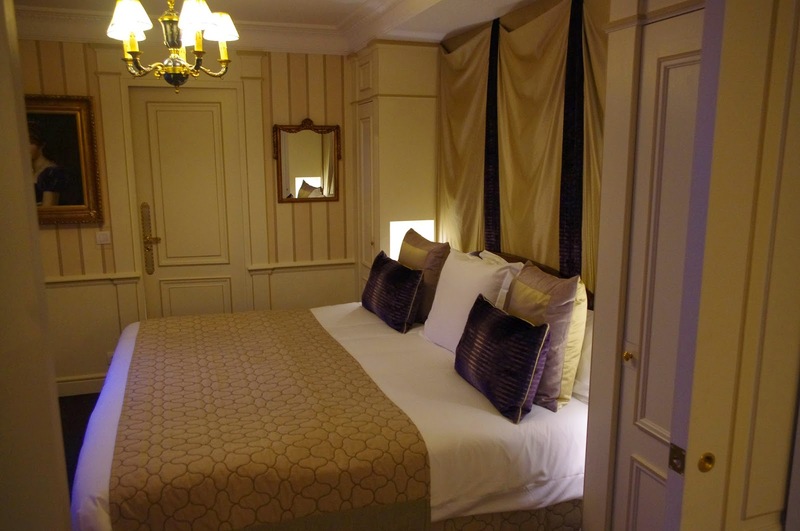 Prior to our trip to Paris I had heard from many people that rooms in Paris are tiny, well I can assure you that Hotel Napoleon is an exception to this! 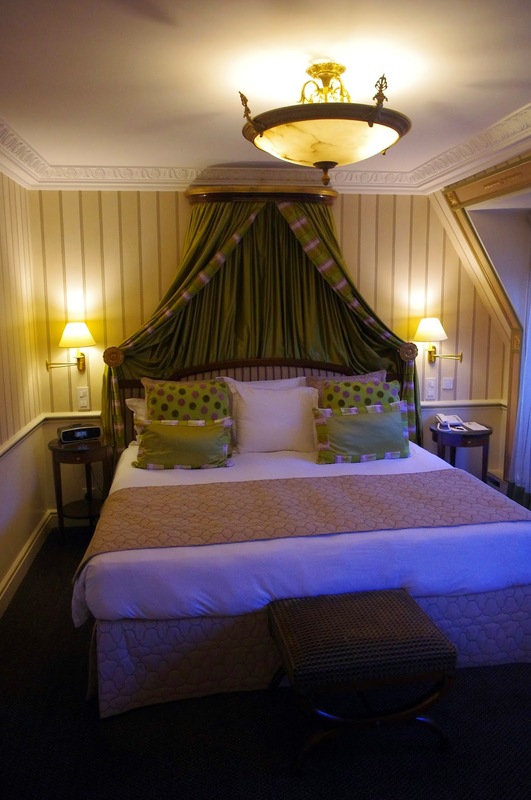 Our suite was spacious, luxurious and immaculately decorated. A living room with double sofa bed, flat screen TV, minibar, iPod dock and table are separate from the deluxe bedroom and ensuite that has it’s own flat screen TV. 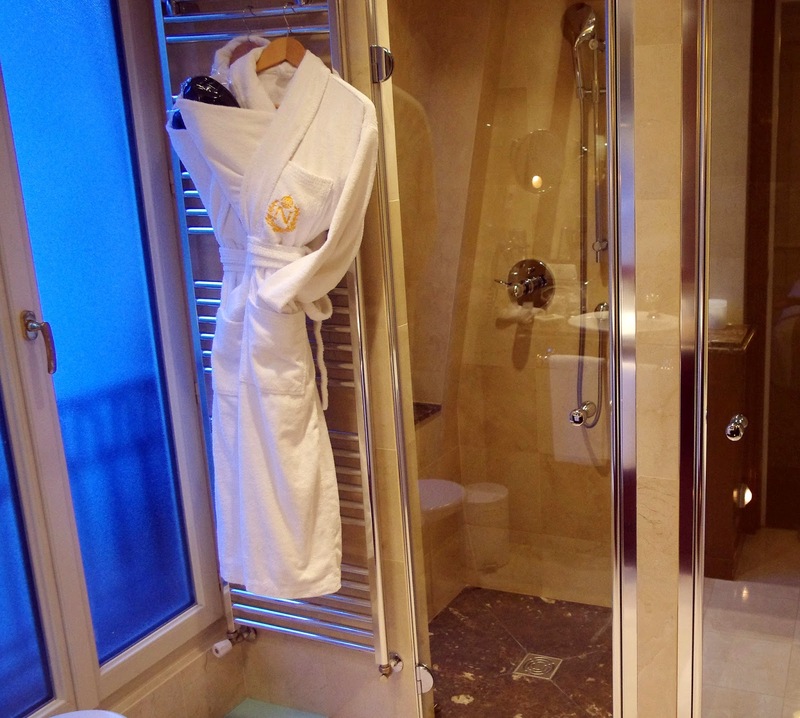 Our king size bed was plush and dreamily comfortable, our room had Wi-Fi, tea and coffee facilities and luxury L’Occitane toiletries to match the elegant, marble bathroom with separate shower and bath. 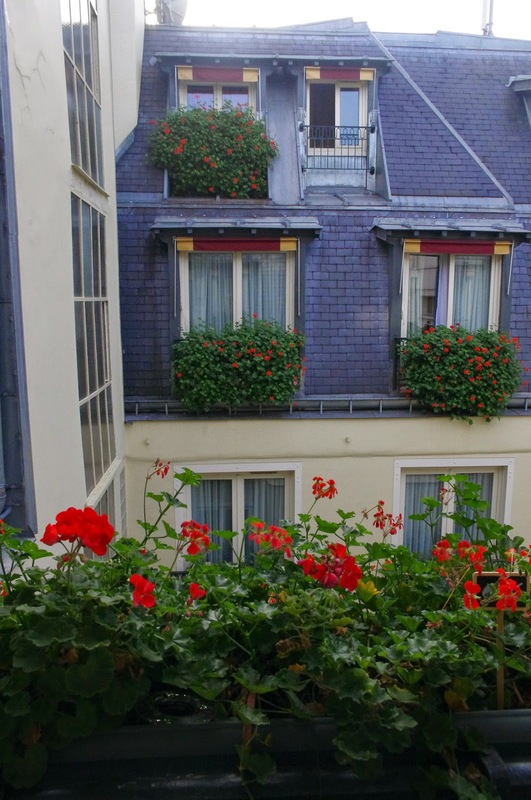 Our romantic suite overlooked beautiful flower beds and the beautiful inner courtyard. The rooms contain all the modern accessories and features you would expect of a five star hotel, with a beautiful ], classical elegant decor, inspired by the Napoleon period. The hotel has also recently undergone a refurbishment of all its rooms, with the exterior being completed during our stay (though this didn’t impact upon our stay one bit)! The typically Parisian Bivouac Cafe is decorated with beautiful frescoes of Napoleon’s military campaigns adorning the walls. 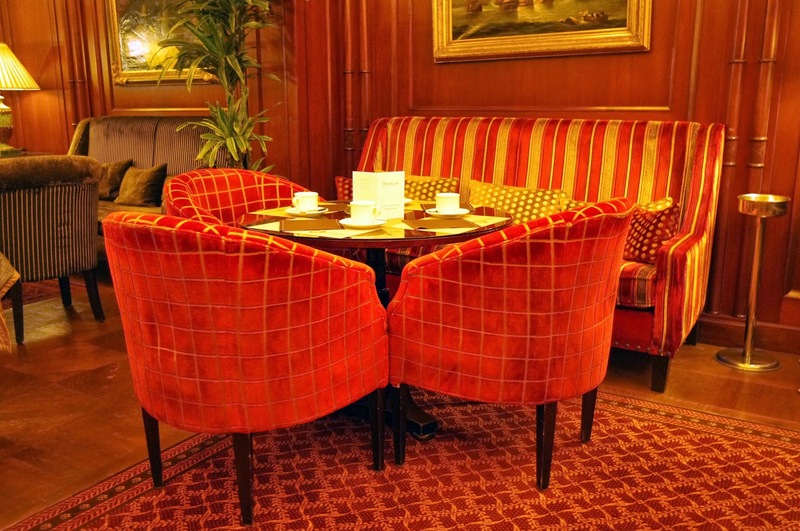 The beautiful woodwork, delightful lighting and warmth from the fireplace and rich, elegant colours and furnishings allow you to relax whilst you are enjoying your breakfast buffet, dining on a delicious, gastronomic lunch or sipping on a drink from the bar. 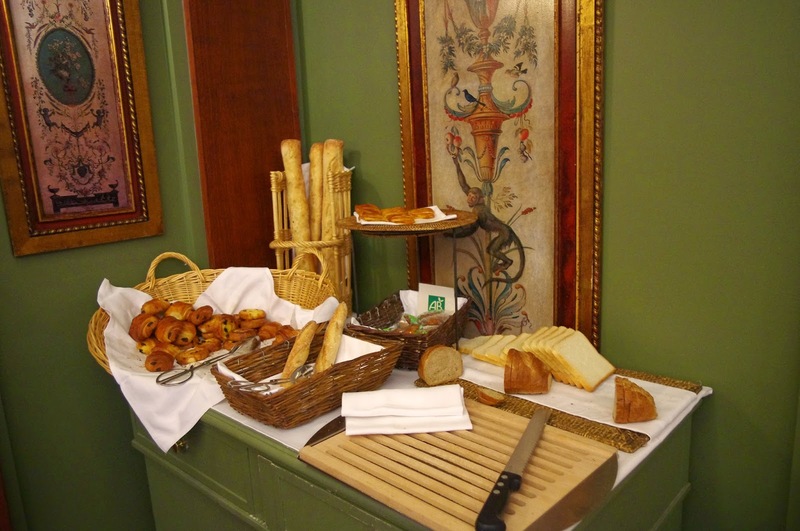 The buffet breakfast was a wonderful, relaxing affair of its own, with freshly baked breads and pastries, cereals, hot foods, a fresh fruit bar and many others, including tea and freshly made coffees! 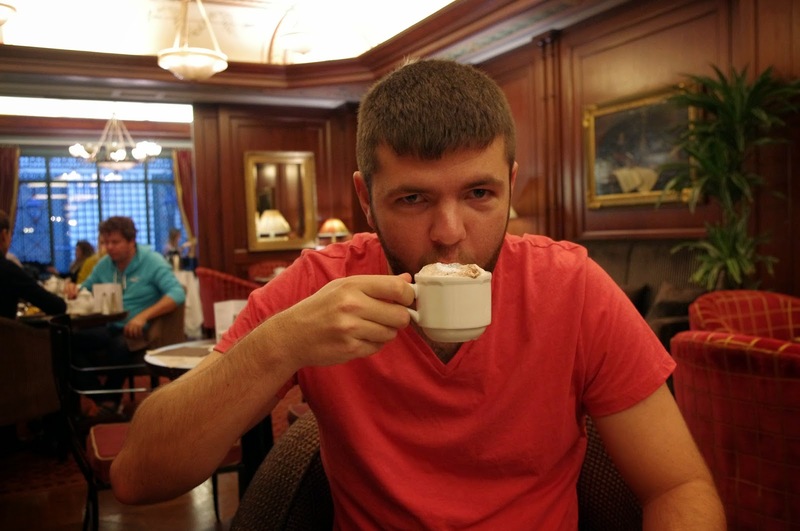 Dan is a bit of a coffee connoisseur and he was very impressed by the coffee. 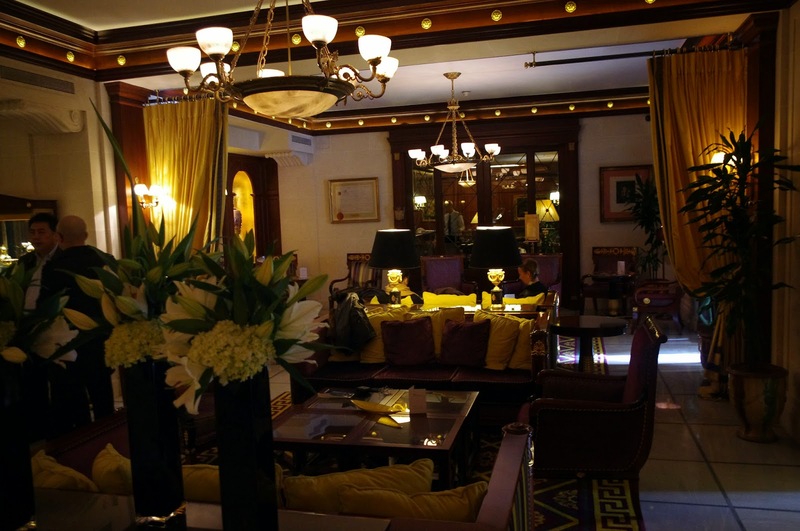 Hotel Napoleon is named after the emperor and is inspired and decorated by the Napoleon period. 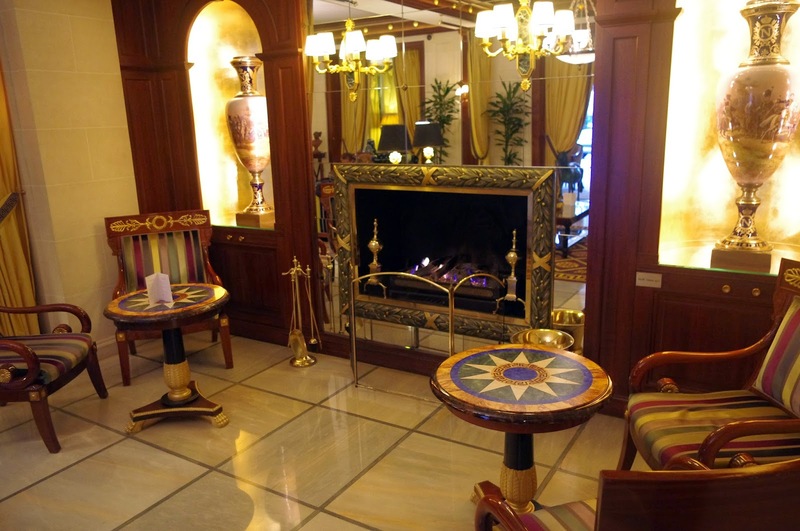 The decor of the hotel is classic and oozes simple elegance boasting rich, beautiful colours and a delightful collection of French art and historical artefacts. 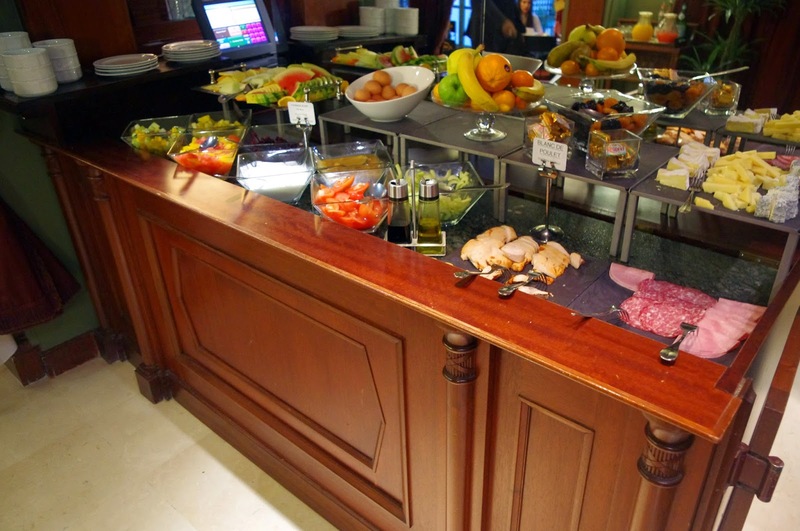 The hotel is brimming with French history and from the moment you step inside the doors of the hotel you feel relaxed and welcomed by the friendly, helpful and attentive staff. Every staff member we came across could not have been more helpful and we felt welcomed and looked after throughout our entire stay. 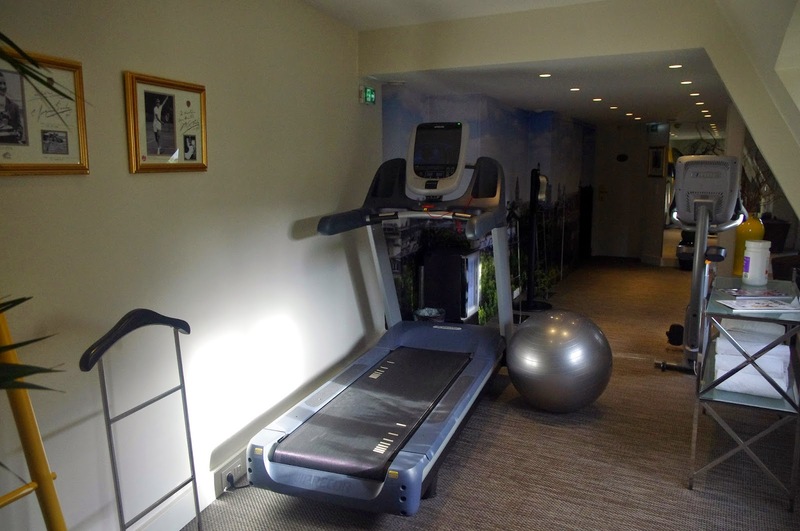 Hotel Napoleon also has a spotless, well equipped fitness room for its guests who feel like working up a sweat on their holiday or trip. 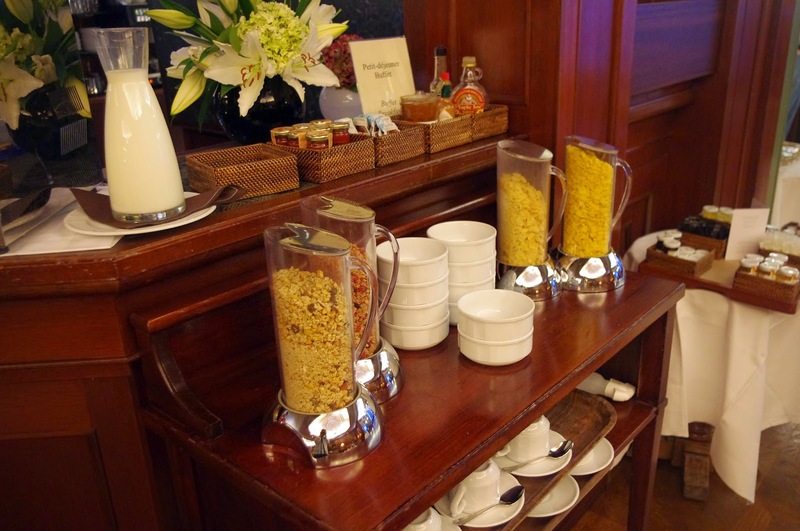 They also have 8 fully equipped meeting rooms for conferences and business meetings. The 8 meeting rooms vary in size and set up, ensuring there is something to meet the needs of your meeting or conference. 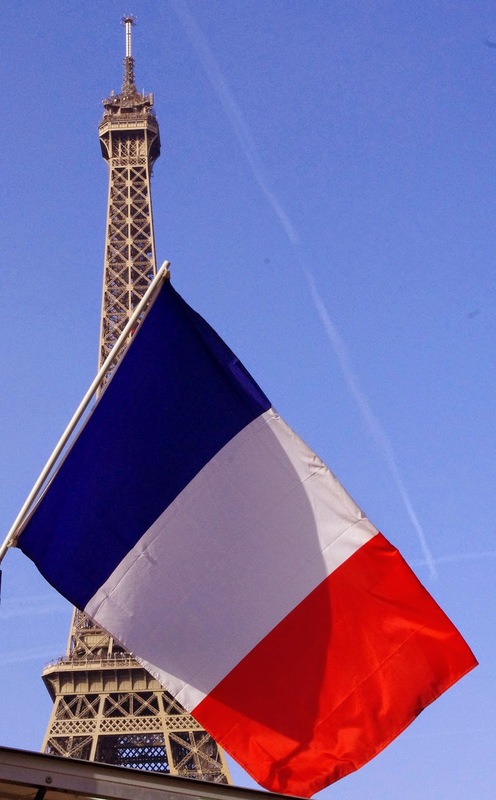 Hotel Napoleon is ideally located in the centre of Paris, literally steps from the iconic Champs-Élysées and Arc de Triomphe. 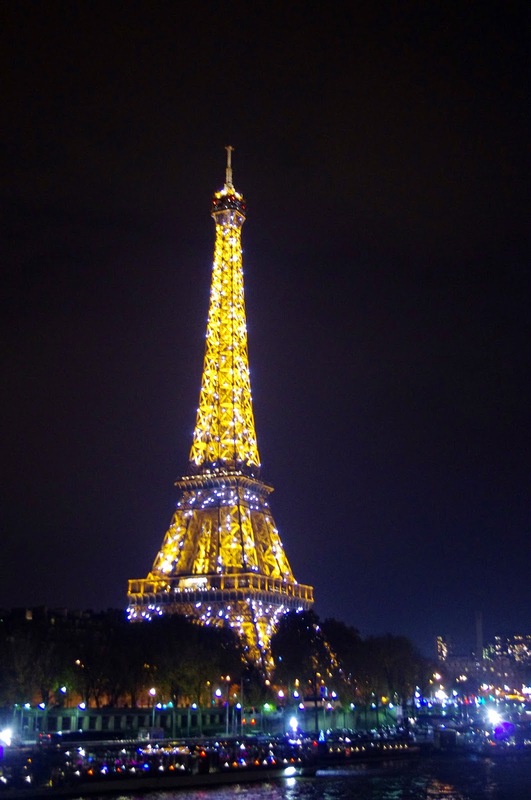 All of Paris’s top sites including the Eiffel Tower, Notre Dame, river Seine and Louvre are all within reasonable walking distance if you feel like a stroll through the beautiful streets of Paris! 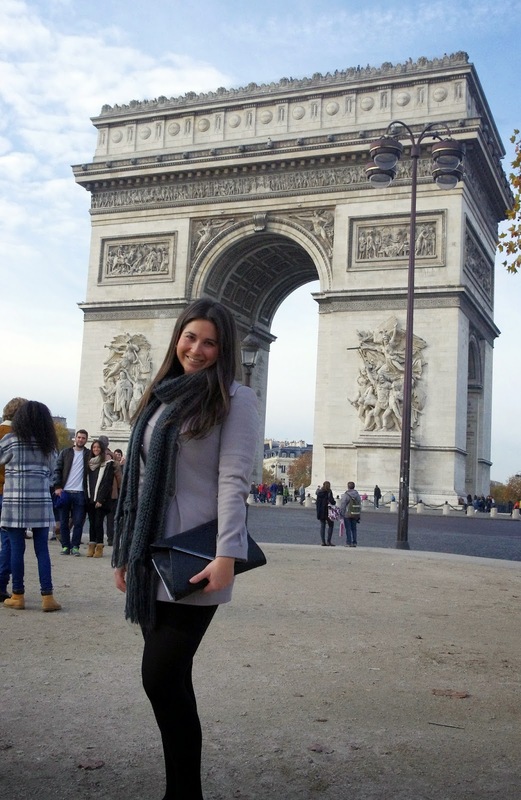 If walking isn’t for you then there is also a metro station next to the Arc de Triomphe which will allow you ease of access to all of Paris! 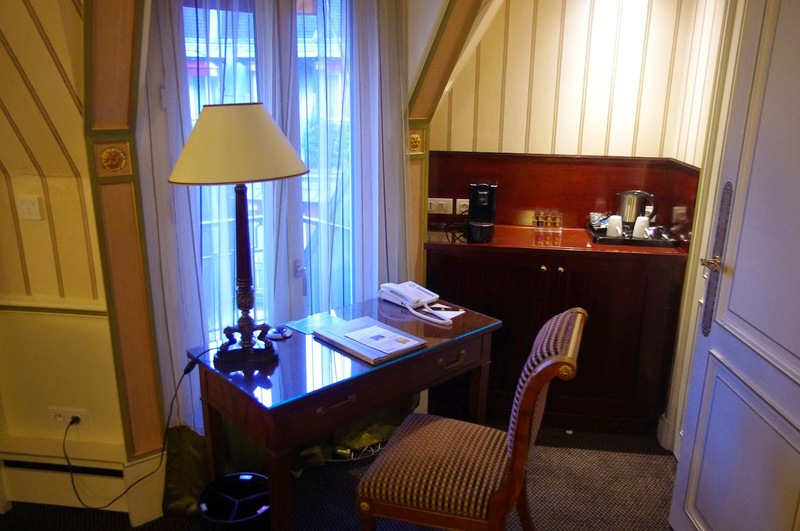 Hotel Napoleon really is perfectly situated and I couldn’t think of a more perfect place to explore Paris from. 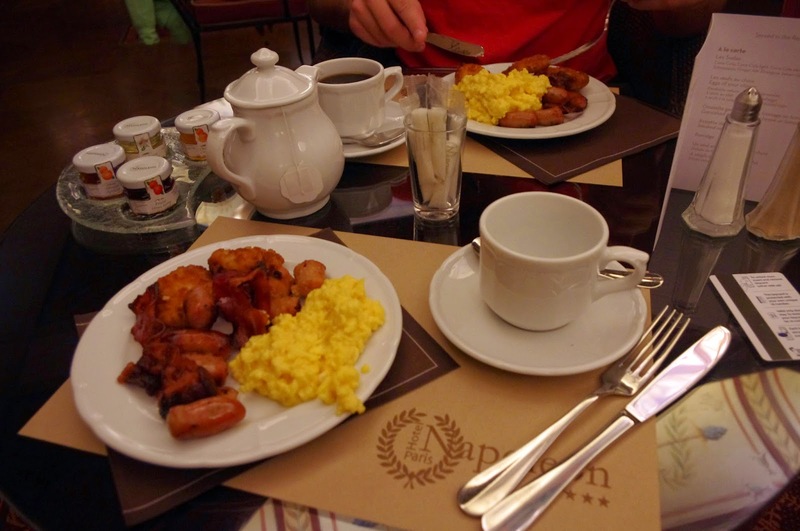 We fell in love with Hotel Napoleon on our stay in Paris. Classically elegant, luxurious, relaxing and perfectly situated I cannot recommend them any more highly for your Parisian vacation.